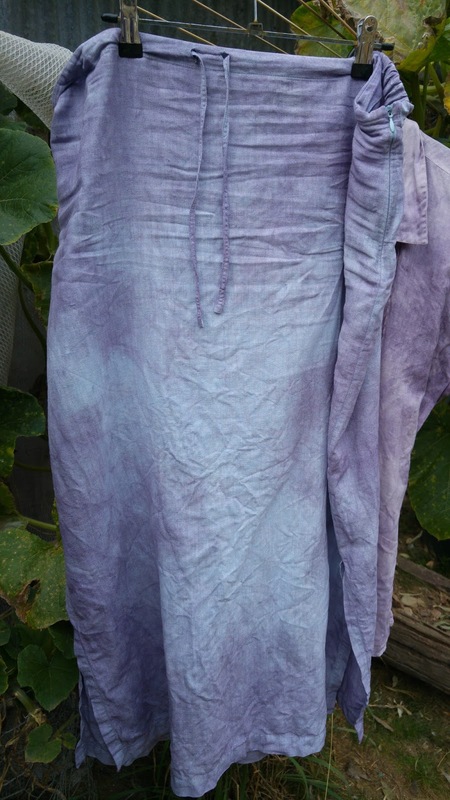 I have been looking for a natural purple dye for a while and came across logwood as a possible candidate. There are some problems with using it however; it is not really environmentally friendly as it uses the heartwood of a tree (destroying the tree in the process of gathering dye material is not really friendly) and it is exclusively an American product (so a lot of miles of shipping are racked up in it’s cost); it is expensive (see previous problem) and hard to find. But…..I really love the purples and browns it gives in the dye vat. 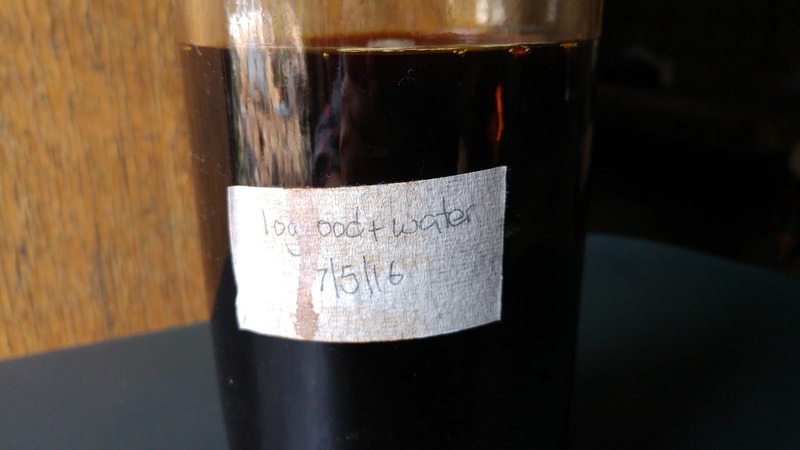 Logwood has been used as a dye since the 1600s and has been expensive and valuable since it’s discovery. Apparently pirates loved to hijack a shipment of logwood sawdust on it’s way from Jamaica to Europe. After using the dye, I can understand why. Not having access to a pirate ship, I had to resort to buying some online (possibly from pirates). It then sat in my dye box for a month or two waiting for the perfect project. 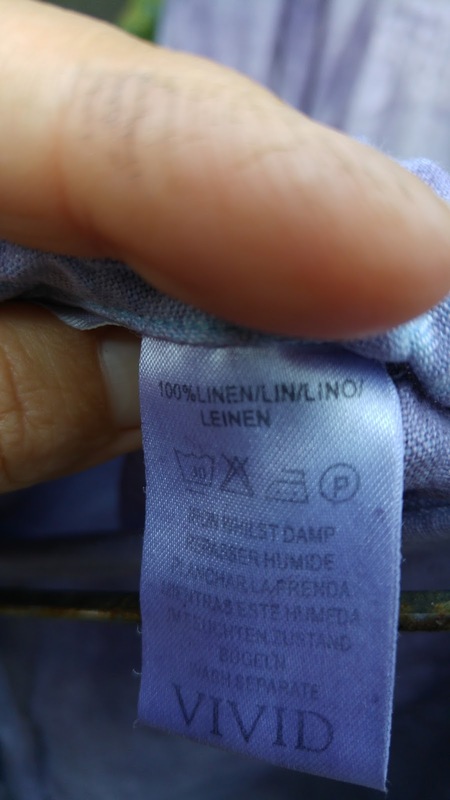 I had been given some ‘teacher clothes’ by a friend (thanks Louise), they are all cotton or linen and very high quality clothes…but, they are all either white or pastel colours (I can’t wear pale colours, they end up VERY dirty). I decided to try out my newly purchased logwood dye on them. Logwood dye in it’s jar. I mixed it at a rate of 1 teaspoon per litre of water. 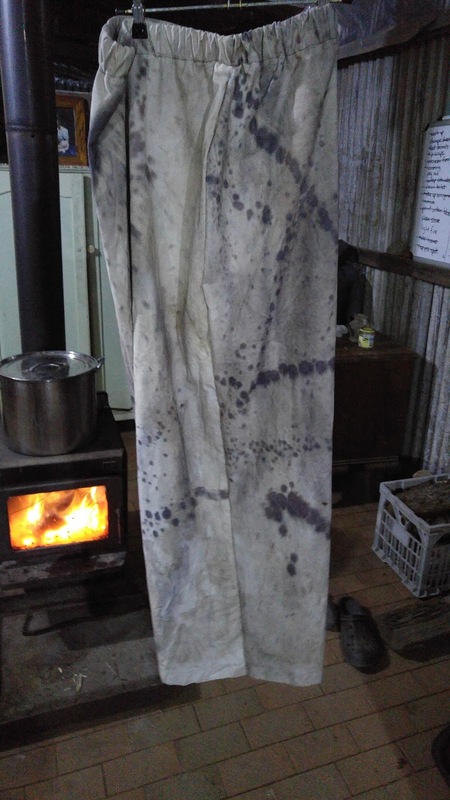 Then I mordant-ed all the clothes with Aluminium Acetate and plopped them into the dye bath. I left them there on the wood heater for a few hours and then took the pot off to cool. 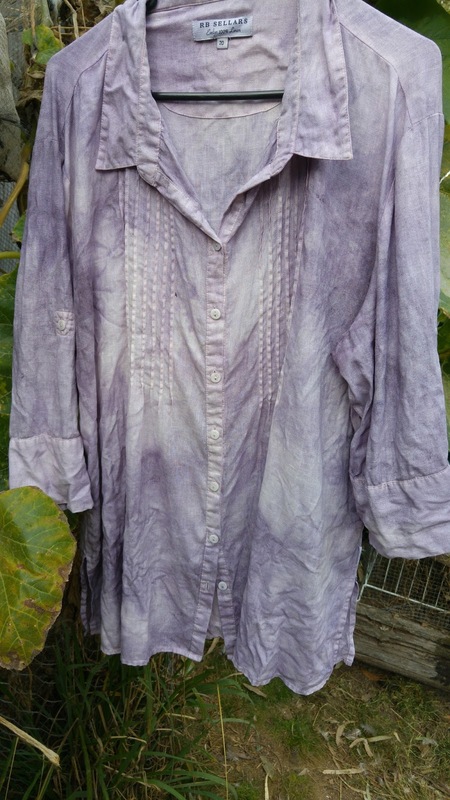 The results were a set of mottled purple clothes which I love. I think the mottling comes from my not having enough mordant in the mix; some areas attracted the dye more than others because they had more mordant on them. 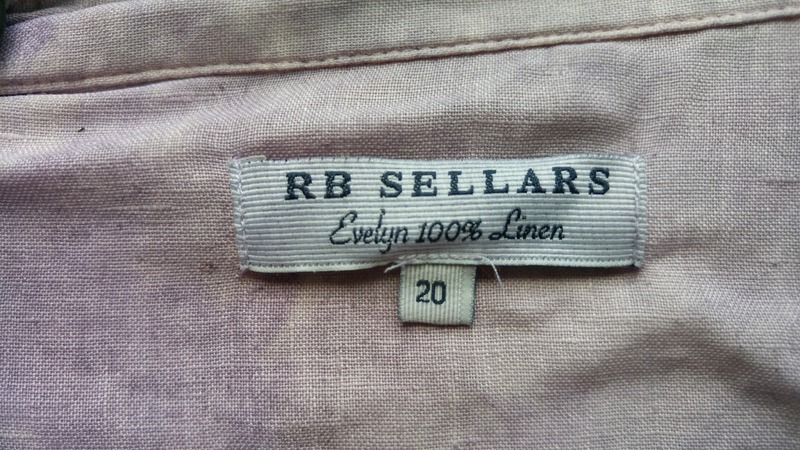 This linen skirt was originally pale blue. Over dyeing has given it a beautiful depth. Of course I won’t be able to wear them together (I would look like an over ripe eggplant), but they should add interest to an outfit. 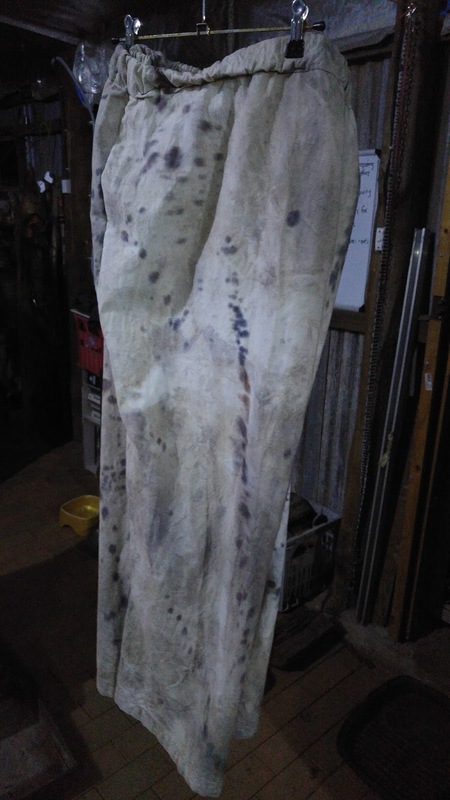 I also had an old cotton hospital sheet (these sheets are virtually indestructible and must have Kevlar somewhere in their makeup; perfect for work) which I mordant-ed and dyed as well. The sheet then became a pair of elastic waisted pants. 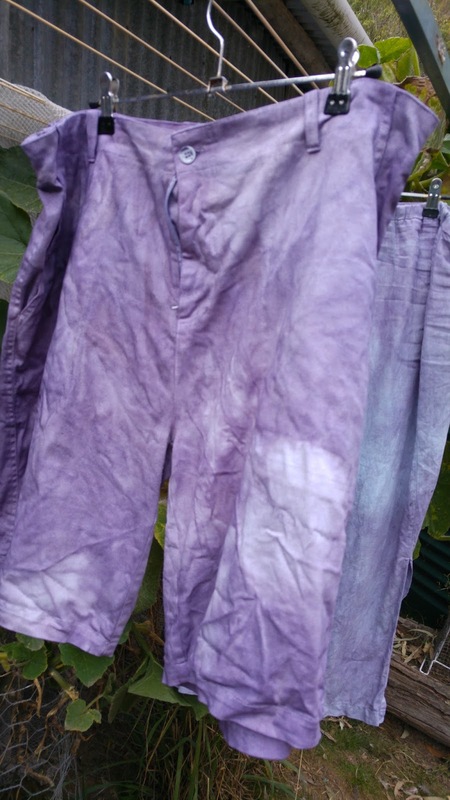 The dye bath was getting exhausted by the time I got to the sheet so I ended up with mottled beige and purple, to add some interest I mixed up a tiny bit more dye and flicked it onto the wet material with a paint brush (the purple spatter patterns). 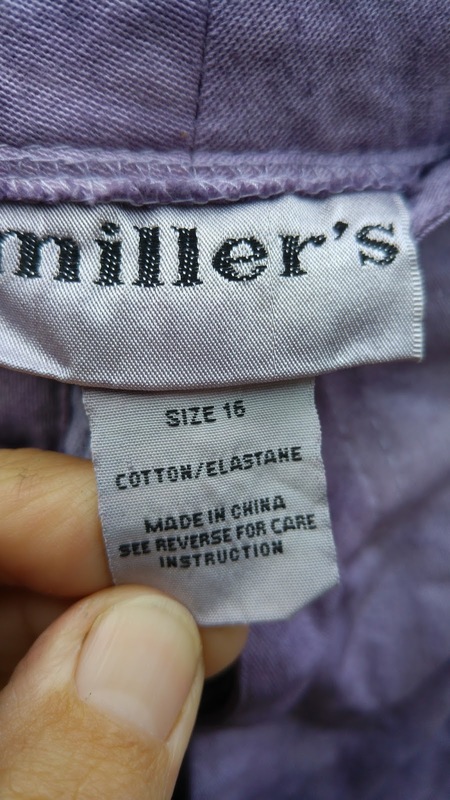 So now I have a lot of purple mottled clothes. I love the colours I got from this dye bath, but I won’t be buying it often because of the aforementioned unsustainability of the dye stuff. I have concerns about the light fastness of the clothes too, but time and wear will tell. 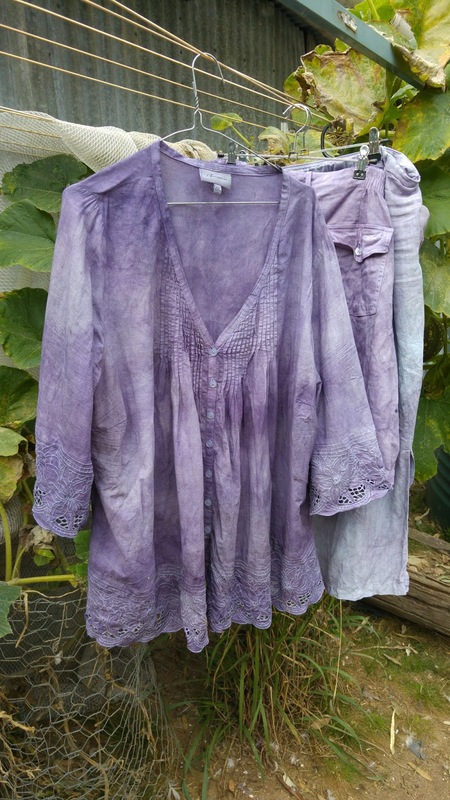 Of course I can always dye them again (or with a different colour) if they fade….I love natural dyes.